Join a Halfling chef in an epic journey to recover the one special ingredient to season them all! 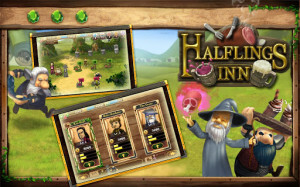 Halflings Inn is a fun and addictive time-management game that parodies the most popular fantasy saga of all time! 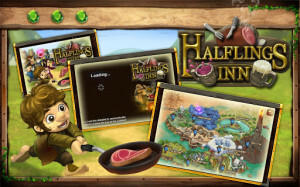 Enter the world of Bobo Buttkins, a Halfling entrepreneur who owns Halflings Inn – a quaint place where magical creatures lounge and dine. One day, a mysterious character steals Bobo’s special ingredient! Bobo must chase the robber around the whole of Midgaard and take back the stolen ingredient. To fund his epic pursuit, Bobo must set up his inn wherever he goes and sell food to hungry creatures along the way. – Watch out! 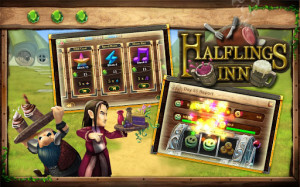 VIP guests might drop by your inn; earn bonus coins if you serve them well.